Collaboration has become a buzzword in the charity sector in recent years as public funding has dwindled and government contracts have become even bigger, thus requiring larger organisations to bid for and run them. But working in partnership with other charities brings its challenges. Charities that were once rivals have to start working together and think beyond their own sets of values. The recently organised partnership between the two environmental charities, Groundwork and Greenspace Scotland, is one example of a working collaboration. 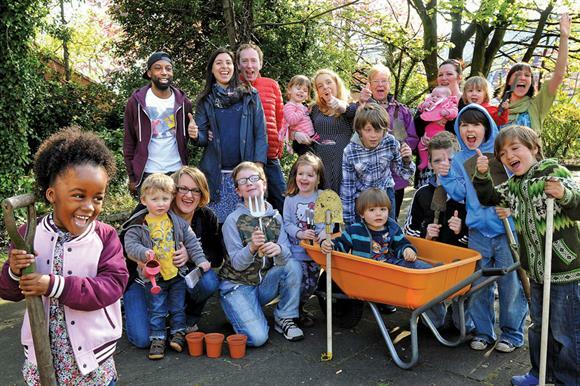 The two charities signed a three-year strategic partnership agreement in April to work together on the development and delivery of UK-wide community green spaces programmes. Graham Duxbury, the chief executive of Groundwork, says the agreement is essentially a statement of mutual intent to work together on UK-wide initiatives and establish ways of working that ensure collaboration is mutually beneficial and on equal terms. Duxbury says the agreement was conceived and agreed within about five months. Either party can terminate the agreement if it does not appear to work, and its effectiveness will be reviewed formally by both chief executives through regular phone and email dialogue and occasional meetings. Duxbury believes there are four key ingredients for strong, long-term collaboration. First, he says, there must clarity about the agreement's purpose from the outset. Second, the charities must ensure "any agreements or formalities surrounding the collaboration reflect that purpose and are proportionate" - is it, for example, intended to be a formal contractual arrangement or will it be a looser partnership? In formal agreements, he says, one organisation must be a contract holder or lead body. In a looser collaboration about sharing knowledge or services, he says, it is about recognising everyone's responsibilities. Third, Duxbury says, fostering strong personal relationships between people in partner organisations is crucial to building understanding, communication and trust between the different parties. Finally, Duxbury says, each charity must keep the specific mission in mind when developing collaboration. "With budgets reducing, collaboration will become more necessary than it ever was," Duxbury says. "But out of that financial necessity comes the real possibility of driving innovation in the way we do some things." A 2013 report co-authored by the think tank New Philanthropy Capital and Impetus-PEF, which supports charities that help young people, identified four key factors of successful collaborations: focusing primarily on the beneficiaries; understanding the financial implications; demonstrating social impact; and understanding how organisational culture can help or hinder collaboration. Step Up To Serve runs the #iwill youth campaign and works with almost 200 voluntary sector partners. Dominic Cotton, director of communications and public affairs at the social action charity, says that partnerships between charities should be kept simple, and there should be a clear understanding of each organisation's role, the lines of command and when results should be reported and payments made. Cotton says that the temptation of staff to stick with their organisation's way of working needs to be put aside if any collaboration is to work and, crucially, avoid damaging power battles that can prevent long-term success. To overcome this inertia, Cotton says, "you need a shared belief in the outcomes of the project" and must trust your partners to deliver their end of the agreement. "There is this fear that you are partners one day and competitors the next, which is a challenge," Cotton says. "I suppose the fact that many charities are passion projects, and we work in the third sector because we are passionate about a particular cause, does sometimes mean that people's egos can lead to problems."